This march in A major is the fourth movement of Orchestral Suite No. 1 in D minor, which Tchaikovsky composed in 1878 and 1879. Scored for upper woodwinds (piccolo, two flutes, two oboes and two clarinets), with very discreet contributions from violins, triangle and bells, this music's confectionery lightness would have allowed it to fit easily into The Nutcracker. 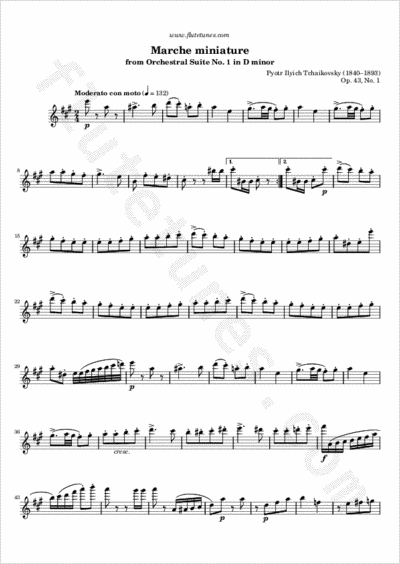 Because of its popularity, it is frequently played as a standalone piece.